Since founded in 1853, Tissot has been responsible for creating some of the most stylish pieces of timekeeping excellence that the world has ever seen. Known for featuring sturdy engineering, clean lines, along with a vast array of pieces for women and men, the watches of Tissot are a go-to favorite for fashionable individuals of all tastes and ages. Excited to be a part of this legacy of excellence, BENARI JEWELERS proudly offers only Tissot watches that are made with the finest materials including mother-of-pearl, stainless steel, rose gold, and titanium, as well as rugged rubber and genuine leather straps. With something to please everyone, finding a Tissot timepiece of extraordinary quality, confidence, and comfort is made stress-free and fun in the Exton and Newtown Square showrooms of BENARI JEWELERS. Ready to meet the timekeeping needs of their beloved Philadelphia area customers, the friendly and knowledgeable watch experts at BENARI JEWELERS are more than prepared to help match their Philadelphia area customers with the perfect Tissot watch for every outfit and occasion. 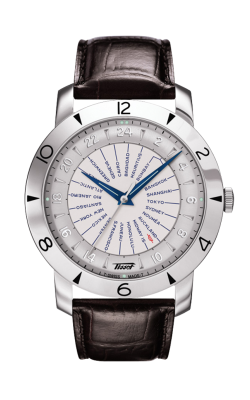 Additionally, as an authorized Tissot retailer, BENARI JEWELERS is able to offer a large selection of unique, hard-to-find, and totally authorized ladies’ and men’s timepieces from Tissot. For example, for women with refined tastes come the watches of the T-Classic, T-Lady, and T-Wave collections, which feature classic, vintage-inspired designs available made with breathtaking mother-of-pearl faces and sparkling diamond embellishments. In addition to the spectacular selection of Tissot women’s watches on display now, also at BENARI JEWELERS is a large selection of men’s watches from many of Tissot’s latest and greatest timepiece collections. For individuals searching for a watch of singular style and sophistication, the timepieces of the Tissot Heritage, T-Classic, Carson, and Tradition collection are made for everyday wear, cutting-edge accuracy, and lifelong comfort. Further, perfect for an active man, the enduring watches of Tissot’s T-Sport, T-Touch Solar, T-Race, and PRC 3000 lines are built-to-last and feature an array of useful, high-tech complications. 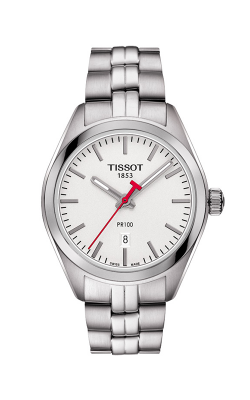 With such an impressive selection, customers are sure to find their dream Tissot watch today at BENARI JEWELERS. Located in Exton and Newtown Square, Pennsylvania, BENARI JEWELERS is locally known as the go-to source for the very best in today’s bridal jewelry, fine jewelry, timepiece, and loose diamond fashions. Much more than just the Swiss-made watches of Tissot, BENARI JEWELERS also proudly carries an assortment of beautiful pieces from popular designers including Tacori, Forevermark, ArtCarved, Hearts on Fire, Breitling, and many others. Additionally, BENARI JEWELERS also extends on-site timepiece repair services to keep all purchases as beautiful and precise as the day they were made.